Jim and I painted this trailer last summer. No different than anything else except that we brought it to a body shop when we were finished and had them give it an industrial clear coat. 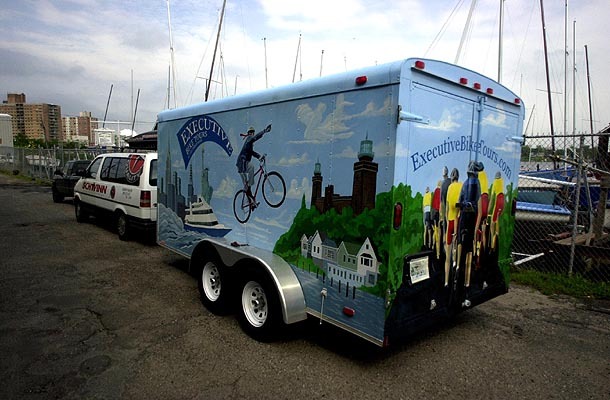 To see the other side of the trailer click here.To learn more about Executive Bike Tours click here.